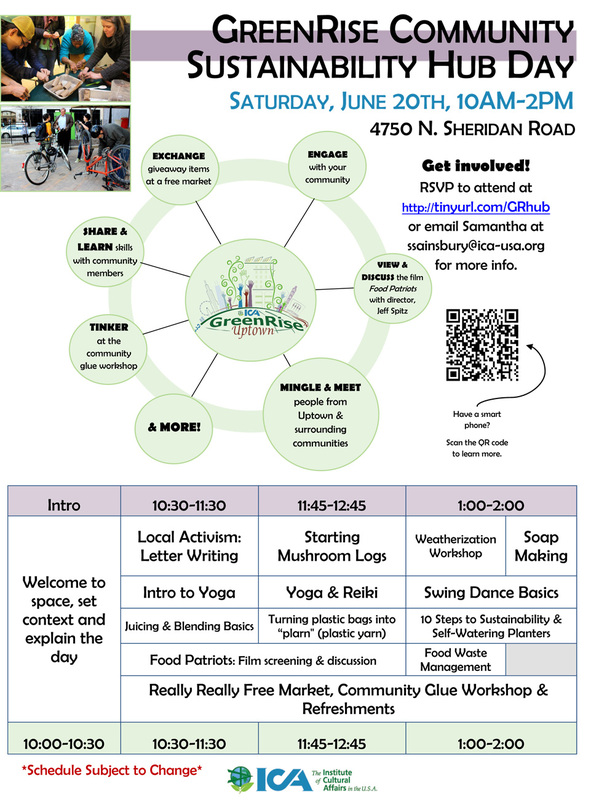 The Institute of Cultural Affairs (the big white building at the corner of Lawrence and Sheridan) will be holding a community workshop on Saturday focused on sustainability. Some workshops will include soap making and shiitake mushroom lop starters. They'll also be screening the film Food Patriots created by Jeffrey Spitz. 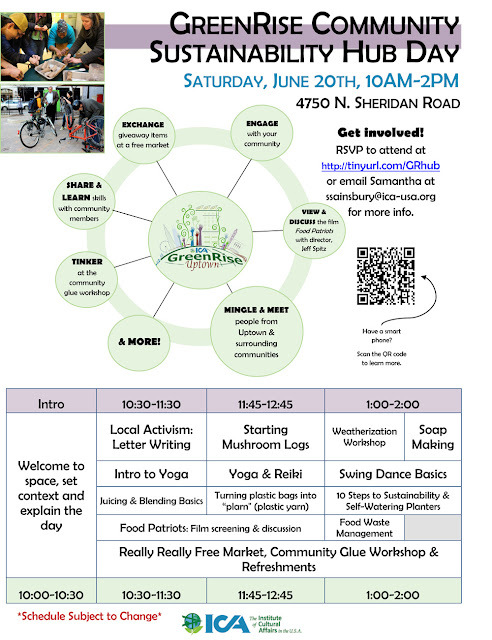 Click on the flyer above for a larger version of it.